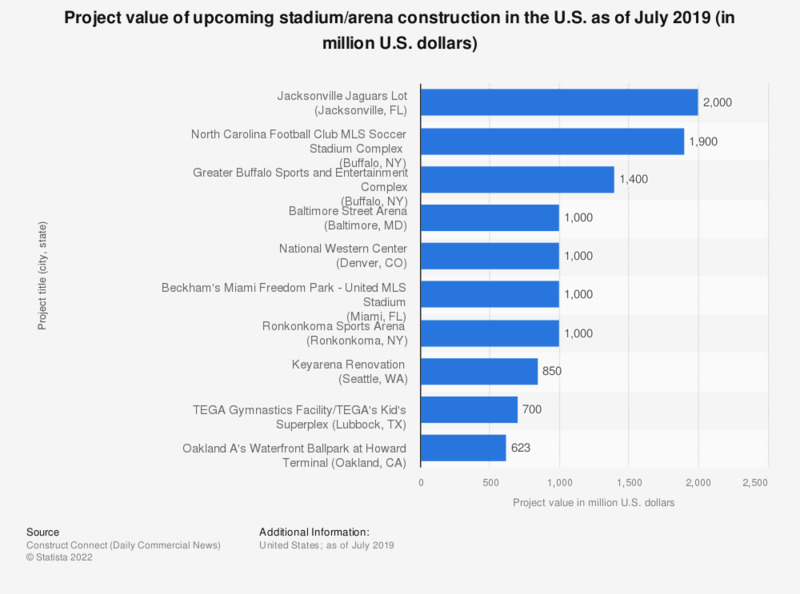 This statistic displays the leading upcoming sports stadium/arena facility construction projects in the United States as of July 2018, based on project value. As of that time, the National Western Center project in Denver, Colorado was valued at about 1 billion U.S. dollars. * All of the projects share the same common factors. They are all in the planning stage. They are mainly new projects but may also involve additions and/or alterations.